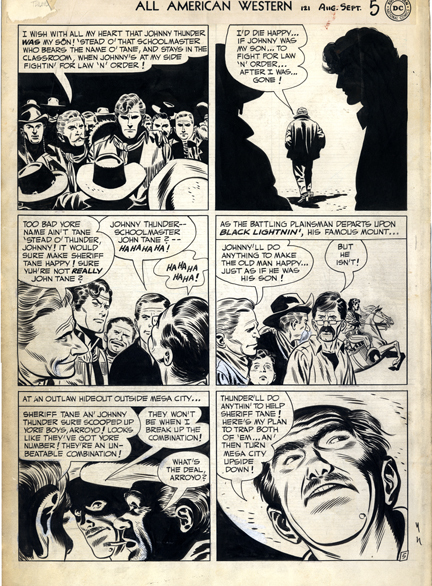 This Toth page ,inked by Sy Barry, is from All American Western #121, "The Unmasking of Johnny Thunder", published in 1951. It was reprinted in "The Greatest 1950’s Stories Ever Told (DC Comics). 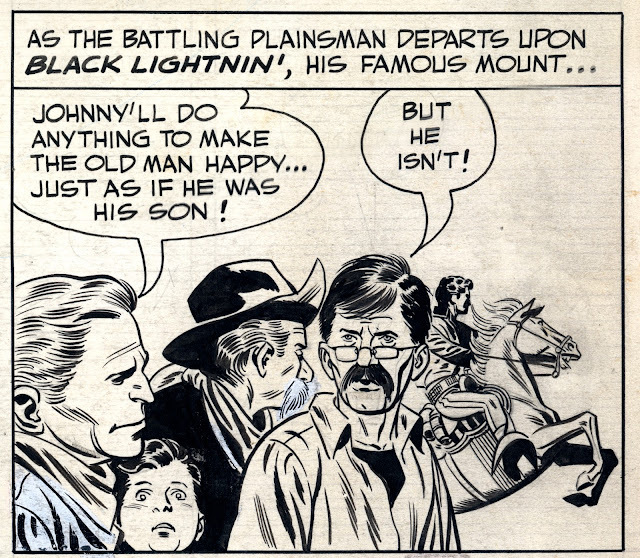 As with yesterday’s romance page, this is mosty headshots with judicious use of background figures to move the story along, like Johnny’s Dad, back to cam, walking sadly away in panel 2, or Johnny rearing his horse to leave in panel 4. 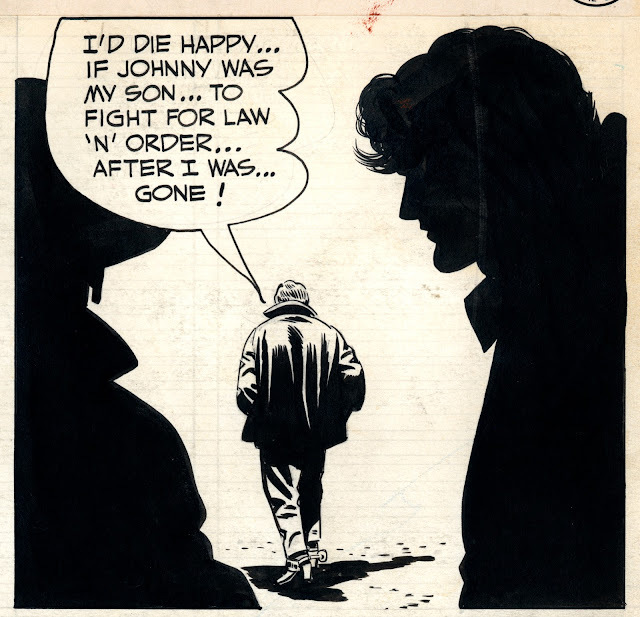 Toth keeps it interesting mostly through lighting and composition, use of silhouette. What did his peers, his elders think of this hotshot kid, making up new rules as he went along as if it was nothing?